Sup, dawg! If you’re a trend playa, then you may wanna check out today’s intraday charts update ‘coz I’m serving up a couple of channels on GBP/JPY and EUR/USD. EUR/USD has been encountering selling pressure for some time now. And if we connect the most recent peaks and troughs on its 1-hour chart, we can see that a fresh descending channel has formed. And presently, the pair is milling about the mid-channel area. However, an opportunity to go short on the pair may present itself sooner or later. After all, stochastic is moving back up, so it’s probable that the pair may test the channel’s resistance area, which should be at or just above the 1.1400 major psychological level. 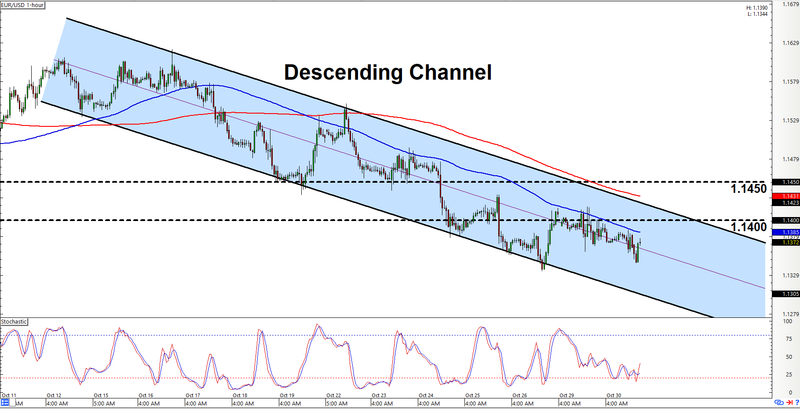 Of course, there’s also a possibility that the mid-channel area may act as resistance. However, going short at the mid-channel area is extra risky, so only do so if you’re gangsta enough. Anyhow, just keep in mind that there’s always a risk that the pair may stage an upside breakout. The pair needs to clear 1.1450 first before y’all may wanna think about bailing yo shorts (if any), however. 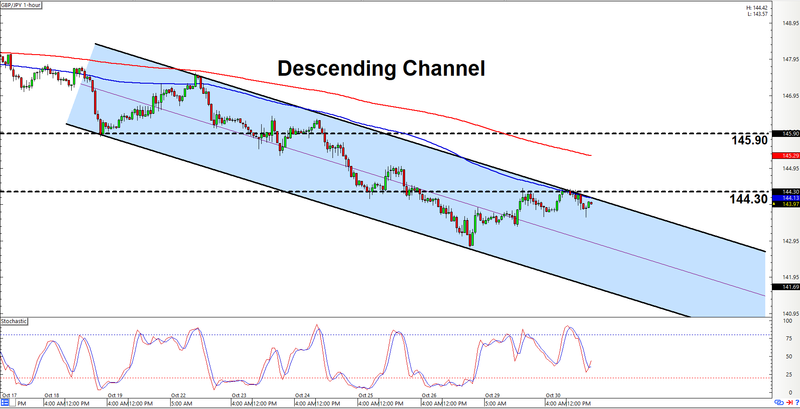 Like EUR/USD, a descending channel has also apparently formed on GBP/JPY’s 1-hour chart. And as y’all can see, the pair is currently testing the channel’s resistance at the area of interest 144.30. And since resistance appears to be holding, y’all may therefore wanna start lookin’ for opportunities to go short on the pair. However, stochastic is just about to enter oversold territory. There’s therefore a higher-than-average chance for a topside channel breakout. The pair would need to clear 145.90 before the topside breakout is validated, though. Even so, y’all may wanna prepare for such a scenario as well. In any case, y’all just make sure to practice proper risk management as always, a’ight?